Arakhne is one of the best releases in Symphonic Metal that I have listened to in a very long time. Enemy Of Reality brings a fresh look to the genre dominated by longtime heavy-hitting bands. I highly recommend this album to anyone who is a fan of this genre. Let’s get one thing out in the open before we dive into this review, I have been a huge fan of symphonic metal for about a decade. Since the first time I listened to Nightwish’s Once, I fell in love with the genre. The composition of the music is something that just screams to me, it fully engulfs me in emotion, something that music is supposed to do and to be completely honest, to me it’s just beautiful. 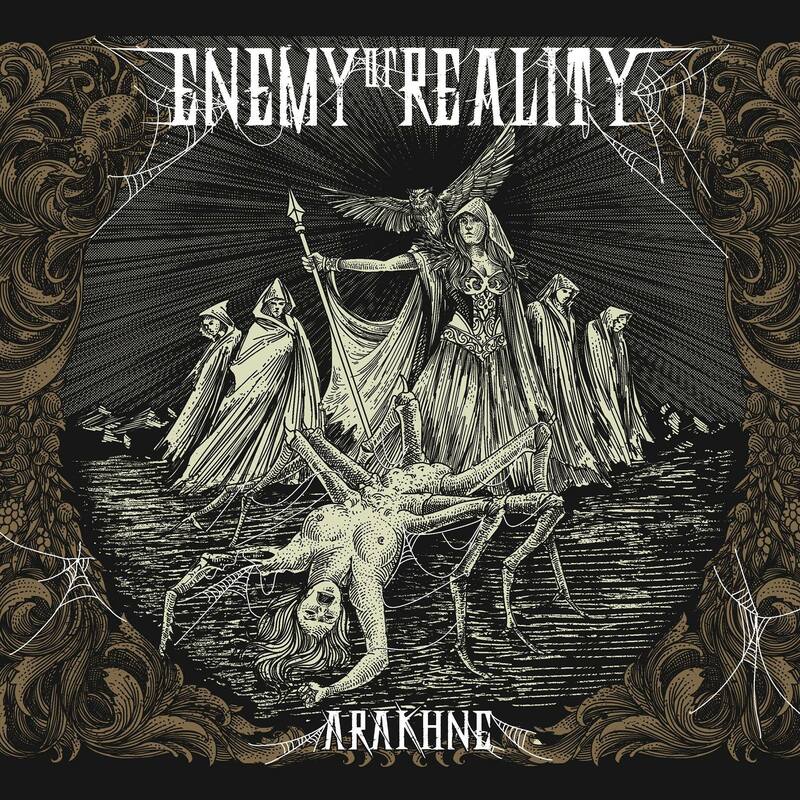 Greek symphonic metal band, Enemy Of Reality, gave me that same exact feeling when I listened to their newest release, Arakhne. It felt as if I had rediscovered the genre again – the emotion, the power, getting lost in the layers of the sound, it took me back to that moment when I first heard the genre in a friend’s basement. The album opens with a very cinematic score, capturing your attention, preparing you for the adventure that this album will take you on. The intro leads into “Reflected,” one of my personal highlights of the album. The song opens with strong drumming and baselines, building before Iliana’s voice breaks through the instruments, giving the song a strong warm tone. As the song progresses, the blend of female operatic and strong male vocals creates an atmosphere of epic proportions. At around the three minute mark, the song leads to an amazing guitar solo from Steelianos, showing true talent with his instrument. One of the other stand-out tracks on the album for me was “Weakness Lies Within.” The reason this track is one of the highlights for me was it gave way for Iliana to show her true range. There will always be something soothing to me about an female operatic voice leading into an epic guitar solo. This is what I love about this music! The biggest highlight of the band’s second album was the fourth song on the release, “Time Immemorial,” which delivers black metal vocals mixed with the strong vocals from the previous tracks, giving amazing contrast between the two. The song’s composition reminded me of “The Beauty and the Beast.” Hear me out here. You have the beauty shining through the darkness lighting up the world of the beast, giving balance to the dark with powerful rays of light. Arakhne is one of the best releases in Symphonic Metal that I have listened to in a very long time. Enemy Of Reality brings a fresh look to the genre dominated by longtime heavy-hitting bands. I highly recommend this album to anyone who is a longtime fan of this genre. I know it will be playing in my car for at least the next week.